You can see the goodness here. At the time I wrote this, I hadn't seen Ratatouille yet. Every one seemed to have seen it by the time I decided I couldn't wait any longer, so one night I just drank a Coke and caught the late showing one night after work. It was all that and then some. The animation was stunning. 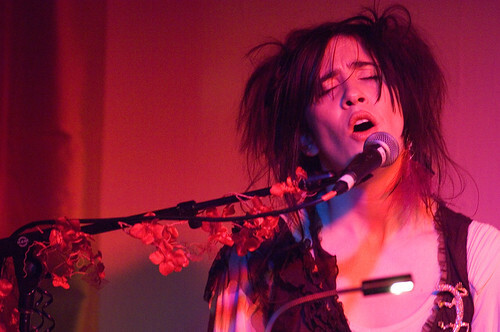 Via FreshArrival, here's a WMV file of a live performance by Imogen Heap at the studios of Indie 103.1 here in LA back a . A friend from Starbucks got my a pass to go see her perform at the Starbucks music lounge at Sundance in 2006. Watching her work was intriguing because she used a series of gadgets, including a Macbook Pro, all of which she demonstrated to us before she played her set. She's one person but with all that gear she can sing with herself. The video gives you an idea of how she creates that big sound. Here are a few of my pics from the show at Sundance.